Zadar was one of the few places we went in Croatia that seemed to take an ongoing interest in public art installations. They had two really cool things. 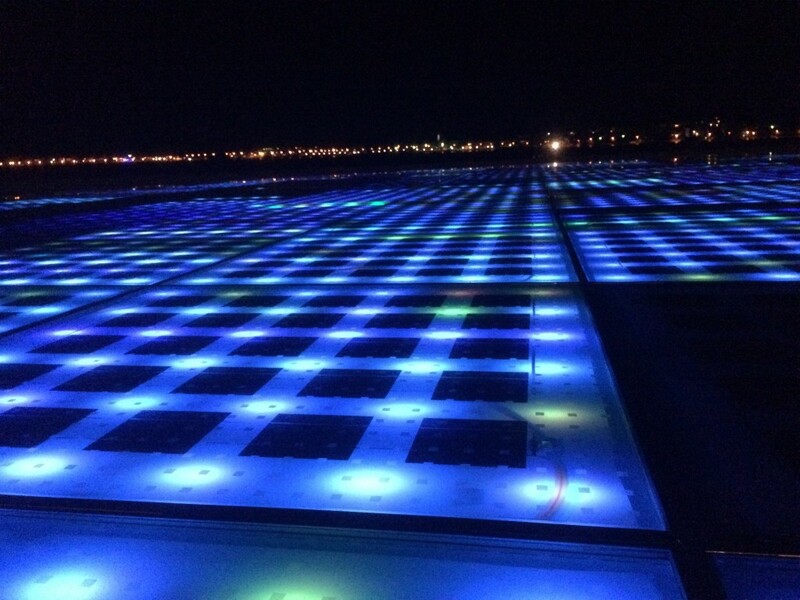 The first was the “Greeting to the Sun,” an LED installation that stored up solar power during the day and put on a light show at night. We day tripped from Zadar out to Krka falls; a place with a curious lack of vowels. My photo timestamps tells me this was almost a month ago now, but hey, water under the bridge right? 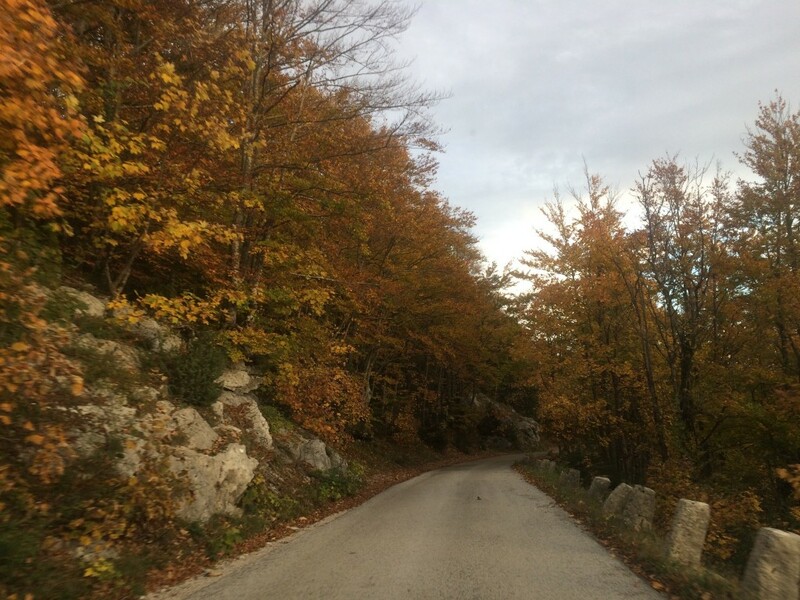 On the winding road out of Istria we suddenly found ourselves surrounded by a dense, swirling fog. Visibility dropped to mere meters; with the road rendered hazardous, we had little choice to pull over. Trapped by the thick blanket of haze, we ventured on foot into the small town of Gračišće. What we found there gave us pause: Gračišće was utterly devoid of all living creatures, while evidence of struggle abounded. Our explorations left us with the grim certainty that some great horror had been unleashed upon this place. 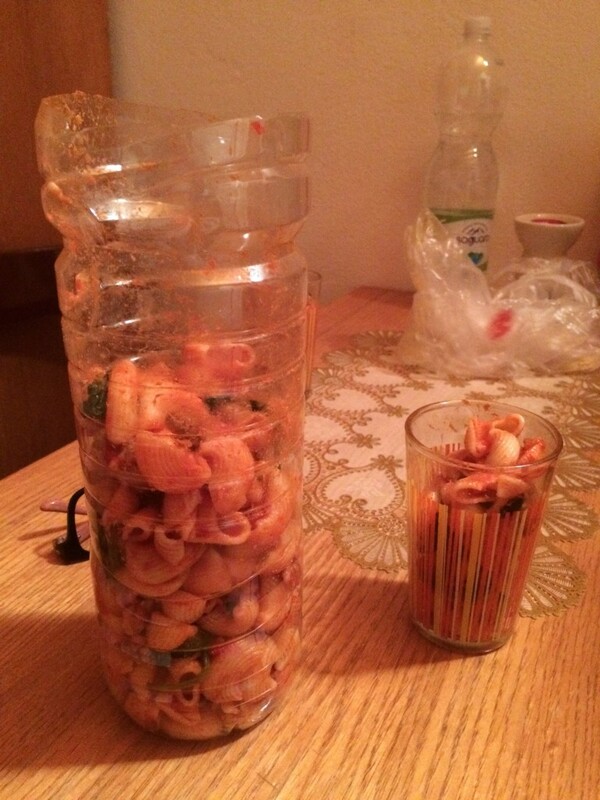 Pasta tube: When you have leftovers but no tupperware or utensils. Gotta save dat money, after all. After parting with Gary we rented a car and drove up to Istria, Croatia’s northwestern peninsula. Istria is widely regarded as having the best food in Croatia, so we were eager to try the famous local products, which include fish, olive oil, wine, truffles, prosciutto, cheese, and honey. Basically, they have all of our favorite things. 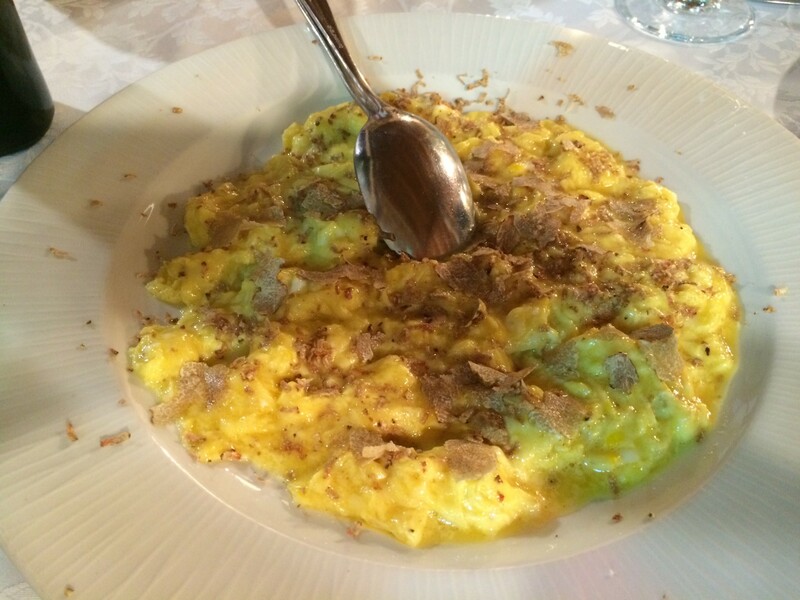 Istria’s proximity to Italy is reflected in both its food and architecture. 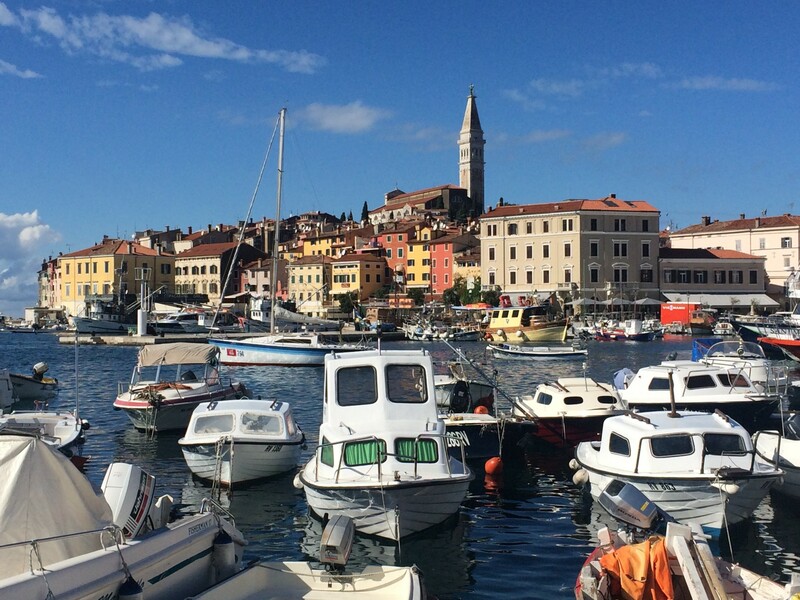 We spent a day in Rovinj, a colorful seaside town that is popular with cruise ships but was pretty empty the day we visited. After a few days in Dubrovnik we split for Split. The city surpassed our expectations. The old town is really cute and seems to have more businesses that cater to locals. One of our first stops was To je to, a cafe and bar where we sampled different flavors of rakija, the Croatian fruit brandies. Rakijas are popular throughout the Balkans as well as in Hungary. These were great. 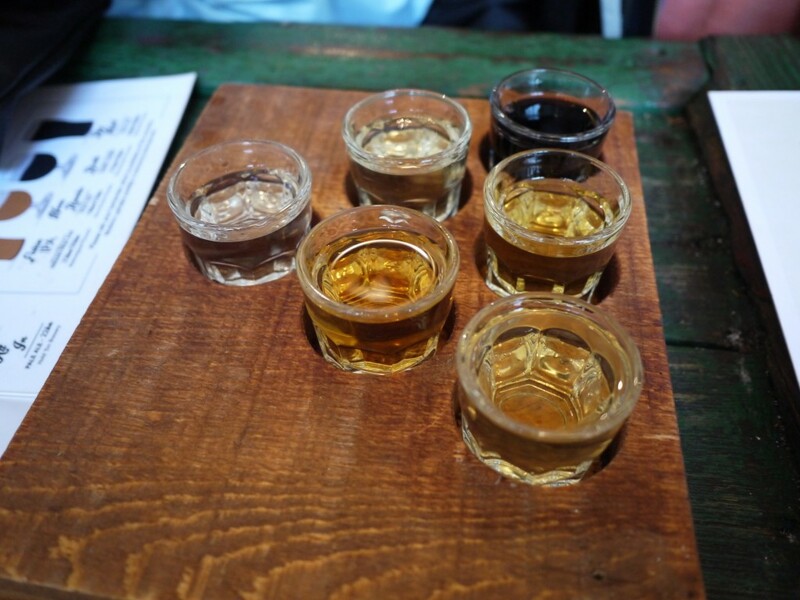 We tried plum, fig, cherry, honey, and herbs. 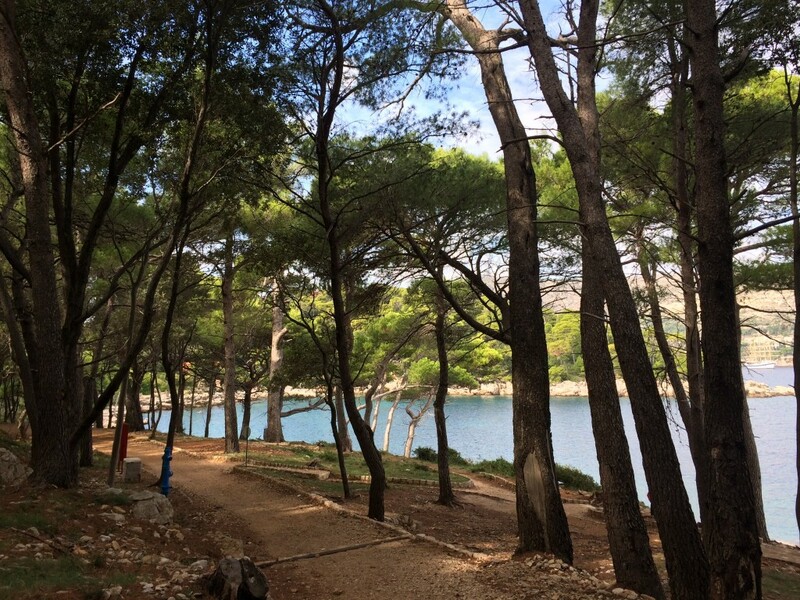 On our second day with Gary, we took a day trip to Lokrum Island. Lokrum is just a ten-minute ferry ride away from Dubrovnik, and it’s a nice place to escape the crowds and enjoy some nature. The island is small enough to walk around in about an hour, though there is plenty to do there. The contrast of forested paths and bright blue water makes the whole place feel a little magical.